I’ve literally been turning on the AC before jumping into my car since the day I settled in Dubai. The weather is just too hot and sadly I have a black car. Yes, I know it’s a bad colour choice. Anyway, I’m sure your car’s air conditioner is very important to you too. How would you feel if one day you get into your car and the AC refuses to work as it should? Dire, I know. To avoid this horrible situation, it is mandatory that you keep your car’s air conditioner well maintained. Driving in UAE demands you to use your car’s AC daily. But if you have not used your car for a week, just turn on the AC and let it run on the highest fan speed and coolest setting for 10 minutes. This ensures the compressor’s health. Moreover, the valves, pipes and pumps of your AC will remain lubricated. If your car’s AC is throwing hot air at you, it means the refrigerant is low. Go to the best service centre in Dubai and ask them to check the refrigerant level of the AC and recharge it if it’s low. Also, ask the experts to check the lubricant and have it refilled it as well. 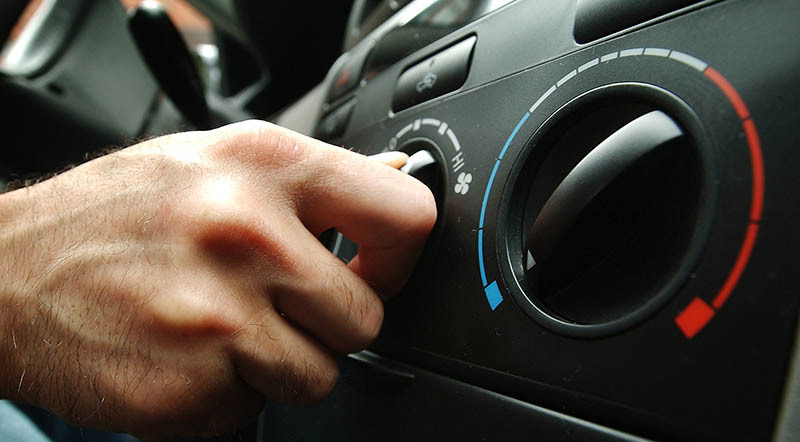 If you start to smell something weird when you turn on your car’s AC, it indicates the AC ducts need cleaning up. Use an antiseptic spray to kill all the germs and mould that has settled in the ducts of the AC. Turn on the AC and you’ll not smell a thing. When you’ve used your car’s air conditioner the whole day, it is good practice to run defrost on your car for a couple of minutes. Defrosting will help keep the evaporator’s core dry. It might seem an extra ordeal, but you will see that the air conditioning has become more efficient. If your car’s AC runs almost all the time, it is recommended that you clean its filter regularly. Grime, sand and all kinds of garbage can block the AC’s filter which can affect the performance of your car’s air conditioner. If you don’t want to end up driving in the afternoon without the AC, clean the filters regularly. When they’ve served their time, have them changed. Since UAE is always hot, your AC will need a lot of servicing. Take your car to the most reliable car servicing station and ask the technicians to thoroughly check your air conditioner for any problems. Do this every year. You can thank me later.